The shadow of a perennial pestilence slued my share in the Spanish-American War. Yellow fever had long been the annual incubus of the Southern coast. Mere suspicion of a case was enough to start a panic. Each summer some section of the South witnessed a hegira northward, or a quarantine enforced with repeating-rifles. Cuba was blamed. “The Queen of the Antilles” was charged with propagating the Aedes agypti, the species of mosquito that transported the dread malady. The prospect of eradicating this tropical terror contributed a strong incentive for the war against Spain. At the same time, the notion prevailed that recurrent exposure to the plague instilled an anti-serum. So, it was generally expected that volunteer regiments from the Gulf States, presenting themselves as immunes, would be enrolled in the first expeditionary force. Acceptance of that theory boggled my plans. As a Texas-Louisiana survivor of several yellow-fever epidemics, I should find little difficulty in attaching myself to the vanguard of the American troops assigned to Cuba. But that must await mobilization. Meanwhile, there was an immediate chance for a great reportorial stunt. It was my plan to get such a missive from some authoritative source and deliver it to the Cuban commander. In return, he would surely intrust to me a statement for the people of America. Obadiah R. Lake, at first skeptical of its possibilities, soon shifted to keen enthusiasm for the idea. If the undertaking were successful, its sponsorship would bring to him as news editor of the St. Louis Globe-Democrat a lasting reputation. Part of my equipment was a moderate acquaintance with the Spanish and German vocabularies. Credentials from a German newspaper would be valuable by way of insurance in the event of a mishap with the Spaniards. Die Westliche Post, published in St. Louis, was one of the most prosperous foreign-language dailies in America. Edward Preetorius, the publisher, a friend of both Lake and myself, was glad to assist. He was especially interested because he would receive my stories under a news-sharing arrangement between Die Westliche Post and the Globe-Democrat. Preetorius agreed to furnish the desired documents. One, he promised, would be a credential from Wolff’s Telegraphisches Buero of Berlin. 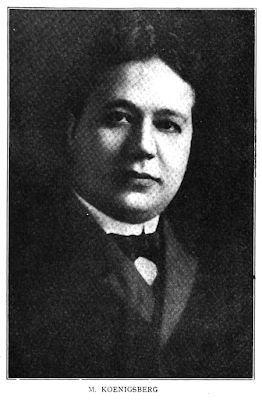 Walter B. Stevens, the Globe-Democrat’s Washington representative, was regarded by many as the ablest correspondent at the national capital. Lake felt sure Stevens would obtain from a high official—probably Secretary of War Alger, or possibly President McKinley himself—a letter for presentation to Garcia. Signature to a formal communication might be withheld until the sundering of relations with Spain. Even if that eventuality did not come in time, Stevens would contrive some sort of note or memorandum to warrant my errand. Each hour of delay added hindrances to my mission. But there were office difficulties for Lake to surmount. The great editor, Joseph B. McCullagh, had passed on. Lake was handling this enterprise individually. He felt that as he would suffer the discredit for failure, he should be certain of the credit for success. He had consulted none of his editorial colleagues. Therefore, he must secure through different channels whatever funds were needed for the venture. Lake went to the general manager, Col. Daniel M. Houser. That gentleman was sympathetic but cautious. He would provide the cash only if convinced that the total expenditure would not exceed an amount to be fixed in advance. Finally, it was agreed to defer the financial specifications until after I had canvassed the situation at Tampa, my “jumping off” place. There, word would reach me from Walter B. Stevens. The Globe-Democrat’s courier to Garcia left St. Louis early on the morning of April 10th. A layover for railroad connections gave me four hours in Montgomery, Alabama. The first capital of the Confederacy bestirred a train of military thoughts. Alabama regiments, as immunes, should be among the earliest to smell gunpowder in Cuba. Attachment to one of them might be the best program open after my interview with General Garcia. Immediate overtures to that end were made possible by this stop at the state capital. Gov. 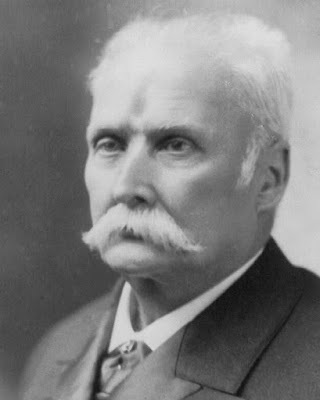 Joseph F. Johnston was duly impressed by a visit from a correspondent who exhibited two Western Union Telegraph franks, one indorsed by the St. Louis Globe-Democrat and the other by the New York Sun. Correspondents for metropolitan newspapers were rare visitors in Montgomery. The governor evinced willingness to be quoted on any live subject. It was easy to guide the interview. Yes; any method to enhance the efficiency of the militia should receive wholehearted support. Yes; Johnston cheerfully pledged himself, if war came, to order competitive examinations as the basis for the allotment of field and staff commissions to Alabama’s volunteer troops. Tampa is a center of pleasantness. For hundreds of thousands of visitors it has served as a key to pleasing memories. For me it was long a cistern of bitterness. For at Tampa, on April 14, 1898, word reached me of the disruption of my most ambitious essay at a news exploit. It was notice that the St. Louis Globe-Democrat had completely severed all association with the project. Mystery surrounded the cancelation of my assignment. Not only did the Globe-Democrat cast the project aside, but it also warned me to renounce the idea. Lake signed the wire. “Must withdraw from any connection with your plan,” it read, roughly, “and advise that it be instantly abandoned. Otherwise embarrassment may follow.” At first reading, the telegram seemed unbelievable. How could Lake, without explanation, suddenly declare taboo the effort that only a few days before he had termed “a splendid conception”? Months passed before the puzzle was solved. My initial clue came in the announcement that Lieut. Andrew S. Rowan of the 19th United States Infantry had “effected contact with Gen. Calixto Garcia.” His promotion to a lieutenant-colonelcy was recommended by Gen. Nelson A. Miles for “an act of heroism and cool daring that has rarely been excelled in the annals of warfare.” Rowan passed into history as the man who “delivered the message to Garcia.” But Rowan bore no communication or document of any sort to or from Garcia. In all this Cuban business there is one man who stands out on the horizon of my memory like Mars at perihelion. When war broke out between Spain and the United States, it was very necessary to communicate quickly with the leader of the insurgents. . . . Someone said to the President, “There’s a fellow by the name of Rowan will find Garcia for you, if anybody can.” Rowan was sent for and given a letter to be delivered to Garcia. How “the fellow by the name of Rowan” took the letter, sealed it up in an oilskin pouch, strapped it over his heart, in four days landed by night off the coast of Cuba from an open boat, disappeared into the jungle and in three weeks came out on the other side of the island, having traversed a hostile country on foot, and delivered his letter to Garcia, are things I have no special desire now to tell in detail. The point I wish to make is this: McKinley gave Rowan a letter to be delivered to Garcia; Rowan took the letter and did not ask, “Where is he at?” By the Eternal! There is a man whose form should be cast in deathless bronze and the statue placed in every college of the land. . . .
Young man, you have been selected by the President to communicate with—or rather, to carry a message to—General Garcia, who will be found somewhere in the eastern part of Cuba. Your problem will be to secure from him information of a military character, bring it down to date and arrange it on a working basis. Your message to him will be in the nature of a series of inquiries from the President. Written communication, further than is necessary to identify you, will be avoided. . . It would be interesting to compare this recital of Colonel Wagner’s directions with such recollections of the phraseology as came to Rowan before Elbert Hubbard’s rendition of the incident. An earlier transcript might not have included such laborious massage of the word “message.” It might have omitted the implication that President McKinley committed a gross violation of international comity. The interview between Wagner and Rowan occurred on April 8th. The United States and Spain were still at peace. President McKinley did not send—nor did he authorize the sending of—a message to the General commanding a revolutionary army at war against a nation which the United States continued to recognize as a friendly power. Rowan met General Garcia at Bayamo in Oriente Province. Although he had been instructed to obtain certain data from the Cuban leader, that gentleman thought it better to impart the desired information to Washington through members of his own staff. Rowan left for the United States on May 6th. Two Cuban officers accompanied him. Not three but five weeks after his departure, having been in the interim always empty-handed but never single-handed, Rowan reported back at Colonel Wagner’s headquarters. The “Message to Garcia” was fanciful embroidery of a model course of conduct which, if actually followed out, would have earned for Rowan a court-martial instead of a hero’s honors. It idealized the initiative and self-reliance with which a command may be executed without pause for questioning or consultation. But Rowan’s orders foreclosed such behavior. He would have been guilty of insubordination if he had shortened or altered the lines of action carefully laid out for him. Debunking of the “Message to Garcia” does not dim one jot of Rowan’s martial fame. On the contrary, it relieves his performance of the fictional frills the presence of which contradicted the fine discipline that marked his service. Elbert Hubbard’s panegyric left out of account the fourteen days between April 9th and April 23rd. That was the fortnight during which Rowan’s activities blocked my assignment. At Washington, Walter B. Stevens was canvassing official friends for cooperation with the Globe-Democrat’s courier. He was encountering more obstacles than Lake, the news editor, had foreseen. A formal letter for presentation to Garcia was refused. Then Stevens requested for me an unofficial note of identification. He was advised to see the chief of the Bureau of Military Intelligence. Colonel Wagner expressed astonishment and anger. He wondered whether the Globe-Democrat realized the nature of its proposal. Colonel Wagner approved of newspaper enterprise when it was constructive. But he could find nothing commendable in the venture Stevens outlined. Did the Globe-Democrat understand that persistence in this business might interfere with possible plans of the United States Army staff? That question stopped Stevens. It turned his natural placidity into a flurry of alarm. His discomfiture was poured into a “red-hot” warning that he immediately sent to Lake. It spilled over into the panicky telegram that Lake flashed to me at Tampa. It was not difficult to understand Wagner’s opposition. No matter how remote the likelihood, he must ward off any possible complication of Rowan’s mission through the appearance before General Garcia of another American emissary at or about the same time the lieutenant arrived. The reasonableness of Wagner’s attitude, however, offered no consolation for Stevens’ skittishness. Perseverance by the Globe-Democrat's Washington correspondent might have enabled me to set out with what was never intrusted to Rowan—an actual message to Garcia. Collapse of the campaign for an interview with the Cuban rebels’ chieftain knocked my plans into a cocked hat. Lost ground must be recovered without delay to assure me an eye-witness role in the impending war. What route to the firing line was most certain? My judgment pointed to enlistment in a Gulf State regiment. The next morning I was in Mobile. My first call was at the office of the Mobile Register. Why not serve simultaneously as a war correspondent and a soldier? Col. Erwin Craighead, the editor, cordially approved my program. His regular staff would cover the news until the troops were moved. Thereupon, my appointment as the Register’s representative would become effective. Colonel Craighead offered to counsel and assist in several preliminaries. He recommended to me the Gulf City Guards. His choice was decided by the personality of the Captain, John D. Hagan. That gentleman was an admirer of the Mobile Register. The Captain’s answer to an outline of my intentions was simple and complete. He handed me a note of introduction to William F. Fincher, first sergeant of the Gulf City Guards. Painful occasion arose to question the tact of this procedure. Sergeant Fincher ached all over at the mere thought of an uppish private. Nothing was more important than to keep an enlisted man in his place. Fincher’s life afforded no satisfaction equal to the discharge of this duty. My case engaged his full enthusiasm. It was bad enough for a recruit to present the personal card of his captain. It became an assault on Fincher’s official pride when that recruit appeared in a smart tan derby, a pleated shirt and suede-topped shoes. One glance down the company street convinced me that this sartorial ensemble might fail to elicit popular favor. A ragamuffin gang had gathered near the sergeant’s tent. It was plainly bent on a purpose not altogether sociable. An unintelligible bark from Fincher was followed by a brisk motion of his right thumb. Possibly the gesture was meant as a direction for me. It was apparently accepted by the waiting crew as a signal. It launched a first-class scrimmage. Half an hour later, an improvised provost guard disentangled several dozens of punching, mauling, tussling hillbillies, wharf rats and city dudes. My culpable raiment was not the sole cause of this Donnybrook Fair. An unforeseen diversion altered the original program. The show had been hastily planned in two parts. The first act was the expurgation of my objectionable attire. The second was to consist of a bit of innocent fun—the tossing of the chastened culprit in an army blanket. An unexpected vigor of resistance prolonged the first scene. It offered an irresistible temptation for action by the neighboring Montgomery Greys. A feud between that “blue blood” organization and Captain Hagan’s command dated back to state militia encampments. The Gulf City Guards came in the main from the wharves of Mobile. Rivalry between the two units had been salted with class distinction. The Montgomery Greys did not intervene to rescue me. They piled in lustily to what seemed an especially opportune free-for-all. Sergeant Fincher’s aplomb was rumpled. A number of his men would be haled before the summary court for a rumpus that had occurred under his very nose. They would look to him for such friendly intercession as the top sergeant, “father of the company,” could devise. A scapegoat might prove useful. Fincher ordered me “confined to quarters pending action by the officer of the day.” The situation was too ridiculous to admit a sense of injustice. Anyhow, it was up to me to see it through. The thirty-odd tatterdemalions that lined up for trial the next day might have been refugees from a hobos’ retreat. There was not one whole garment in the crowd. And they were more surly than sorry. None of them needed to submit to military discipline. Each still retained his civilian status. They squirmed in half-naked disgruntlement. They had hastened to camp on the pledge of immediate equipment, including uniforms and other clothing. Thus far, they had received no supplies except food and a third of the required tents. The onset to remove my finery had not been impelled by any personal animus. It was a protest of rags against riches. A delicate operation in face-saving was indicated. Captain Hagan did the preparatory work. His stint was complicated by the record of hospital attention to three of the broilers. The Captain “hoped no special issue would be made out of what happened.” That was my cue to remain silent. Several corollary evils developed from a lag in the arrival of fresh recruits. One was the bartering of officers’ commissions. No graft was involved, but dollars instead of fitness were determining the selection of unit leaders. Inside the regimental lines were twelve skeleton companies. Each was awaiting numerical expansion to the minimum stipulated for muster in. Outsiders eager to wear shoulder-straps bargained for them. They offered to defray the expense of assembling and fetching to the cantonment the number of recruits necessary to fill out a company. The price usually demanded was the captaincy. Sometimes a compromise was reached on a lieutenancy. An ironic justice quashed several of these deals. Inability to pass the prescribed physical examination prevented delivery of the purchased commissions. This traffic in titles was a minor phase of a general condition, like a pimple on a psoric colossus. It was lost in the botchery that cumbered the American Army’s share in the hostilities with Spain. The administrative scandals that later engaged a presidential commission of inquiry were unfolded to me in their making. Alabama’s regiments were among the chief victims of these blunders and misfeasances. Opportunity was given me to observe at first-hand the ineptitudes of a self-satisfied republic bungling a job of militarization. Fortunately for the United States, the conflict was too unequal and therefore too brief to run up the staggering costs that its pitiable amateurishness otherwise would have entailed. There was little reckoning of what might have happened against a more formidable opponent. Tales of gallantry filled the popular mind to the exclusion of less exhilarating considerations. Hobson’s bravery in sinking the Merrimac in Santiago Harbor evoked immeasurable exultation, despite his failure to block the channel—the task for which he volunteered. The dauntless courage of Dewey, the superb seamanship of Sampson and Schley and the rash intrepidity of Col. Theodore Roosevelt were just highlights in a firmament studded with dazzling signs of martial supremacy. Hero-worship left little inclination for fault-finding. It was much pleasanter than worrying about the “embalmed beef” that entered into army rations or the “criminally induced typhoid” that decimated the training camps. Few contingencies had yielded such an aftermath of instructive experience as came to America through its one-sided struggle with a decrepit adversary. Yet the principal admonishment was resolutely ignored. It was not comforting to dilate the fact that again disease had inflicted on our troops a greater mortality than battle. Nor was it prideful to infer from that score the moral of unpreparedness. It was much more satisfactory to deduce a national invulnerability. This bubble of vainglory wrought a spell of witchery that lasted nearly twenty years. It was pricked, but not wholly deflated, by the World War. Gradually, for another twenty years, it again filled out. Not until France fell under Hitler’s blitzkreig did it burst. Then, caught in the frenzy of a universal crisis, America reverted to the lessons it had received but rejected more than forty years before. Brandon confirmed the possibility of my subjection to a trial by court-martial. He had considered this before giving his pledge of security to the Brown Printing Company. Until that day, it had seemed too remote a contingency to bother about. Now stringent precautions should be taken. Brandon had been present when several angry officers discussed ways and means of effecting my arrest. Their ebullitions had concerned him less than the disclosure of Brown’s attitude. My vigilance must be especially directed toward my publisher. No part of the original manuscript or any reproduction thereof should be allowed to reach censorious hands until the day of the writer’s discharge from the army. Only by locking myself in the printing plant was it possible to provide the safeguards Major Brandon advised. Every second of the next three weeks was spent in a self-imposed incarceration. The author slept on the type for his book. The page forms of Southern Martyrs were stacked in racks on top of which a cot for my use was fastened with ropes.